Photo courtesy of the Saskatchewan Rush. If you don’t count the third quarter, the Rochester Knighthawks played the Saskatchewan Rush to a 7-7 stalemate in Saturday’s game. But you do count the third quarter, the Rush went on a 5-0 run during those 15 minutes to take the 12-7 victory. With the win, Saskatchewan remains in first place in the NLL’s West Division with a 3-1 record. Rochester drops to 1-3 and remain in fifth place in the East Division. The Rush got off to the early lead when Ryan Keenan scored a powerplay goal less than a minute into the game, but Rochester came right back with the tying goal just 10 seconds later and another goal 42 seconds after that. Saskatchewan went on a four-goal run from there, retaking and extending the lead over the remainder of the first quarter and into the second. Following another two-goal run by Rochester, the teams exchanged goals to finish the quarter and went to the locker rooms at halftime with the Rush enjoying a one-goal lead. But the third quarter was all Rush. Both teams were unable to get anything going for the first seven minutes, but Mark Matthews finally broke the scoring drought with a powerplay marker, opening the flood gates and starting a five-goal run to finish the period. Rochester was able to regroup and respond with two quick goals to open the fourth quarter but Saskatchewan goalie Evan Kirk shut them down the rest of the way to secure the win. Matthews and Robert Church led the offense for the Rush, with seven points each. 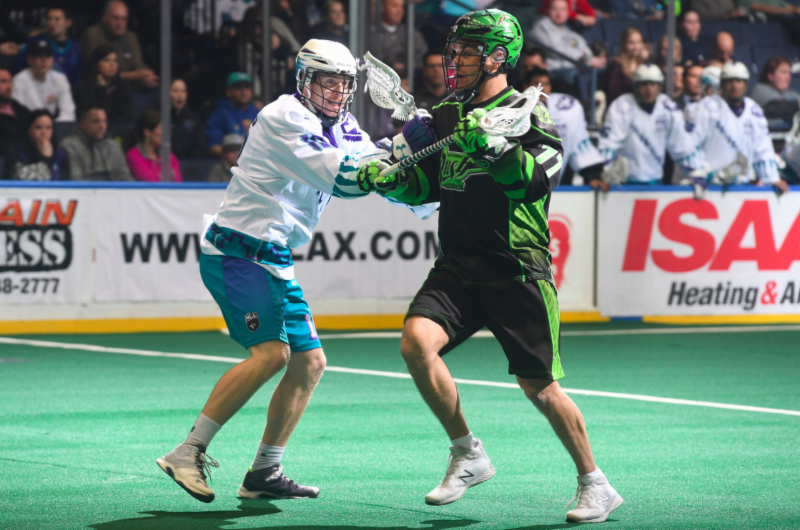 Cody Jamieson and Joe Resetarits responded with four-point nights for the Knighthawks. Kirk made 38 saves in the win while Angus Goodleaf turned away 41 shots in the losing cause. The Rush travel to Georgia for their next game, playing the Swarm on Sunday, Jan. 27. The Knighthawks are at home, hosting the Buffalo Bandits on Saturday, the 26th.